I went to a woman's conference two or three years ago. I can't remember when exactly. I'm getting older and my memory is failing me. I can't even tell you what I did yesterday. It was at this conference when I heard the song "Oceans" for the first time. I could feel the Holy Spirit stirring up inside of me. 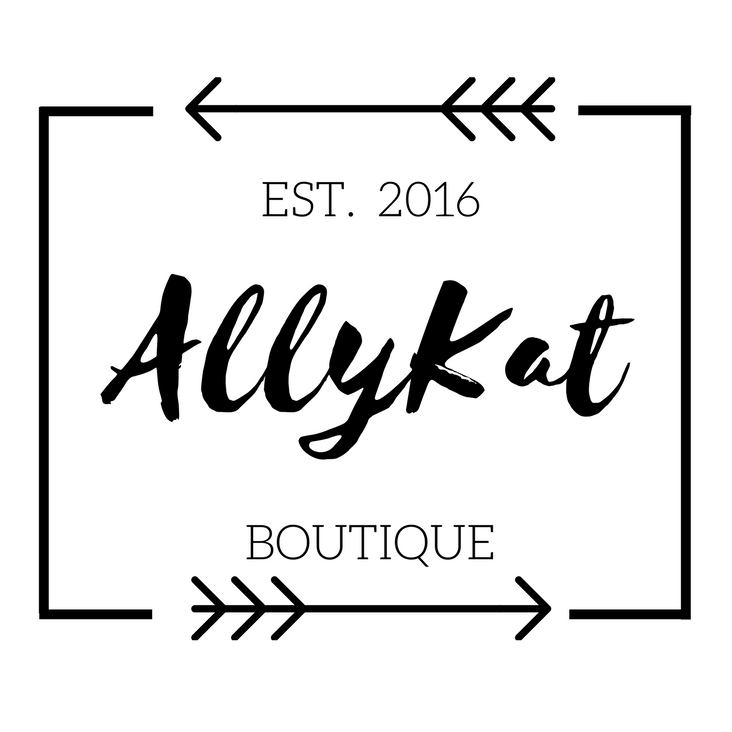 I started this blog because I have a story to share. A story about finding your way back. A story with sin, shame, and guilt. A story full of love and grace. I'm afraid I will say the wrong thing because I'm still learning. I'm afraid of sharing too much of myself. But, I'm going to do this scared. We are put in situations like this for a reason. This is when I trust God and lean on him. This is when my faith becomes stronger than my fear. This is when I pray and ask the Holy Spirit to guide me. It is never too late to have a relationship with Jesus. 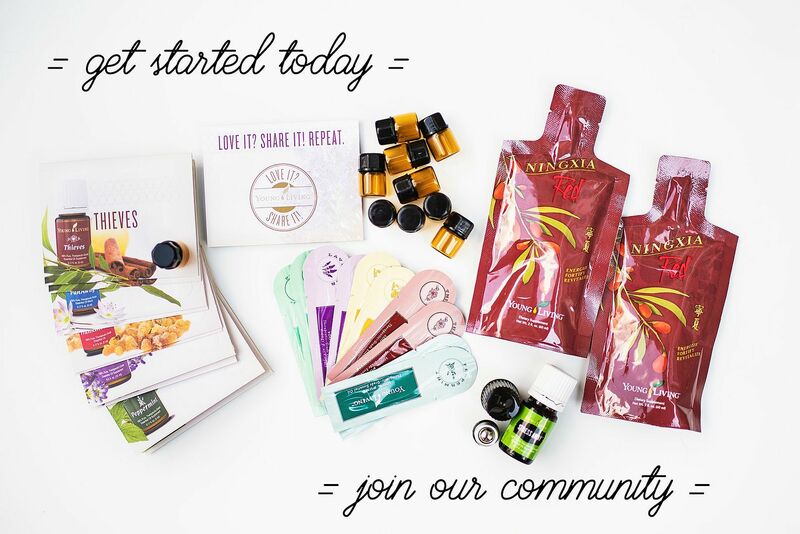 I hope through sharing my journey I can help you with yours. 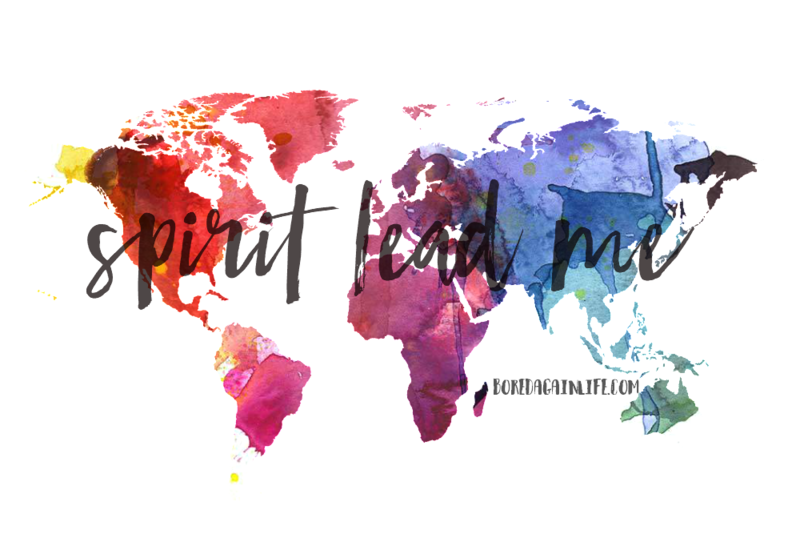 I am going to ask the Holy Spirit to lead me. I am going to go deep into the unknown. I am looking forward to strengthening our faith together. Why do we have these? How are they even created? I took a good look at mine yesterday. I'm almost certain I use about 5 things in this drawer on a regular basis. 3 knives, a can opener, and a pizza cutter. Why do I have all this other stuff? I can't tell you the last time I used an apple corer to cut an apple. Why do we convince ourselves that all of these little gizmos are easier than grabbing a knife? I am giving us all permission to let it go! Just say no to fancy gadgets and gizmos that claim to make your culinary life easier. We don't need all of this to make a good meal for our family. A few years ago I read the book 7: An Experimental Mutiny Against Excess by Jen Hatmaker. I tried my best to live it out, but it was difficult. One month we could only eat 7 types of food. A month of chicken. Delicious. I did learn how to live with less and how much "excess" I really have. This drawer is a prime example. 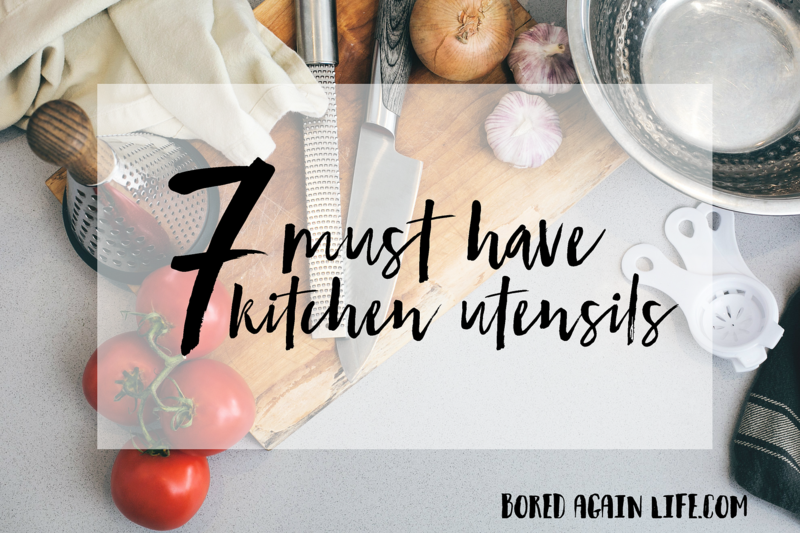 What kitchen tools are a necessity? Can I narrow it down to only 7? I am packing up everything else in my drawer and only using the items on this list for the next few months. I may lose some of the convenience of my other tools, but I don't think I will miss them. KNIVES - Invest in a good set. You don't need to spend a lot of money. I like this Vremi set. The knives are colorful and sharp. Rachel Ray also has great knives available to purchase. I have this knife set and use them every day in my kitchen. CAN OPENER - I suggest getting a clean cut can opener. Then you can save food if needed in the can or recycle the can for crafts. I remember making a lot of can lid Christmas ornaments growing up. Anyone else? TONGS - I used to think tongs were irrelevant. I was flipping my chicken with a fork. A FORK y'all. It got the job done despite how awkward it was. Then I bought a pair of tongs. LIFE CHANGING. MEASURING CUPS - I am a little bit of this and a dash of that kind of cook. There are times however when measuring and preciseness is crucial to the outcome of what I am cooking up. I really like the flexible measuring cups. They are so convenient! PIZZA CUTTER - A pizza cutter is not much of a multi-functional tool, but have you ever tried to cut pizza with a knife? Me either. Lame. Who wants to do that. We eat pizza at least once a week. We would perish without it. WHISK - Again, a fork would do, but we are grown-ups. I prefer the metal whisks vs silicone. SPATULA - You need a spatula can will flip and one that will scrap. The scraper is more important than the flipper if you have to choose one. If you don't have a scraper, then a lot of brownie and cookie dough batter gets wasted. We can't have that. What did I leave out? 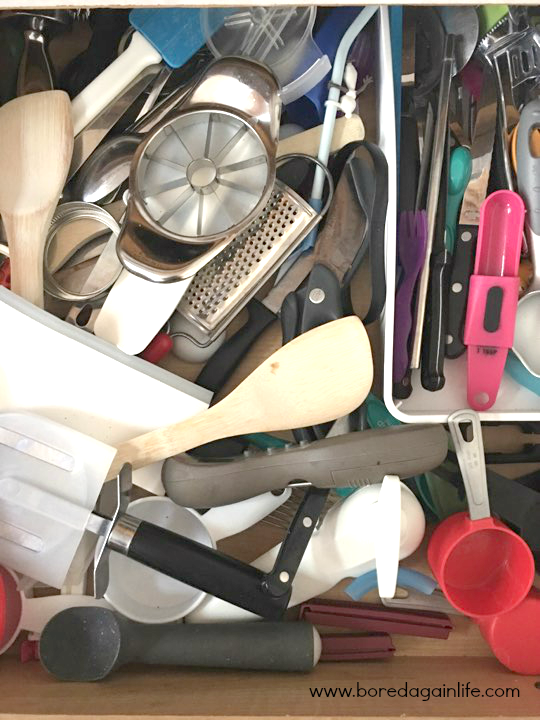 Are there any gadgets or utensils you would be lost without? Ideally we get all the nutrients we need from the food we eat. This is the dream scenario. I try hard to make sure my kids get the correct amount of nutrition. I think kids need between 3-4 cups of fruits and vegetables a day. It seems like a small and do able amount. Right? Not with my kids. Let me tell you how Leah eats. She will have two bites of a banana in the morning and rudely drink half of my smoothie. For lunch she may have a sandwich and some fruit, but it is usually only a few bites. Now at dinner, if it's something she likes AND she didn't eat much lunch, girlfriend will go to town and clean her plate. I do my best to give them a balanced meal. I know for sure they do not have enough vegetables. Three out of the four cups of fruits and veggies should be vegetables. I can guarantee that is not happening. This is why we have supplements. Vitamins are here to fill the gaps that we leave on our plates. 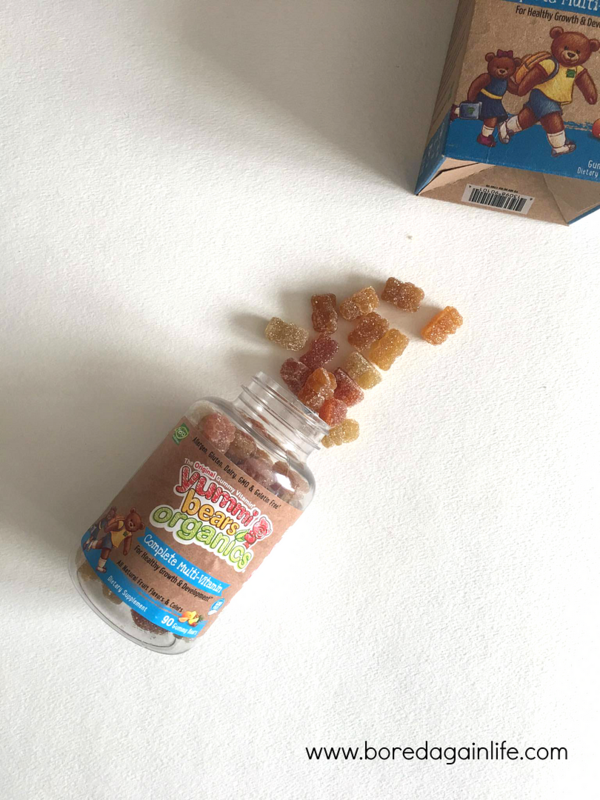 Recently we tried Yummi Bear Organics for the kids because they have 16 essential nutrients for growth and development. We are talking Vitamin A, B6, D, B12, C, and more! They are also free of artificial colors and flavors. Leah loves them. 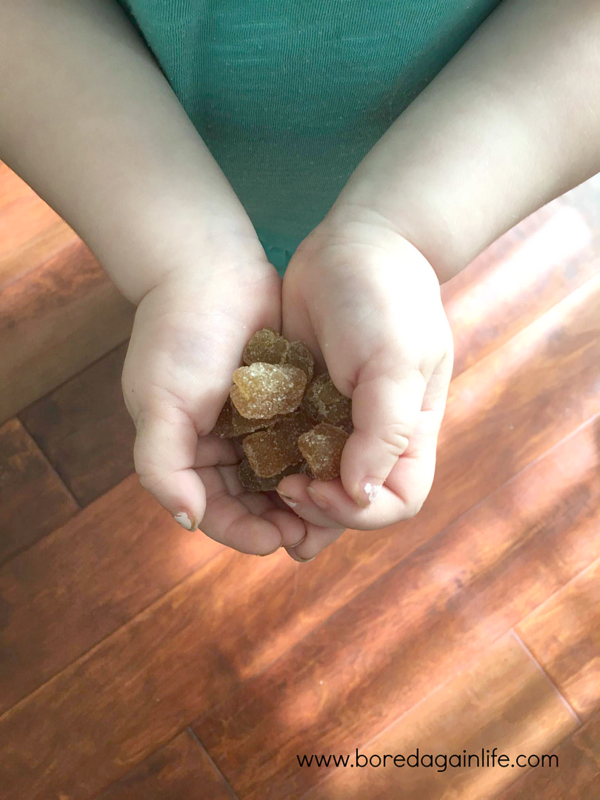 She of course thinks they are candy and is upset by the small serving size. I like that it is gummy vs other brands with a chalk like consistency. Who eats those on a regular basis? No thanks. I already have to fight my kids over vegetables. Why would I want to fight them over the vitamin to help supplement the vegetables?? 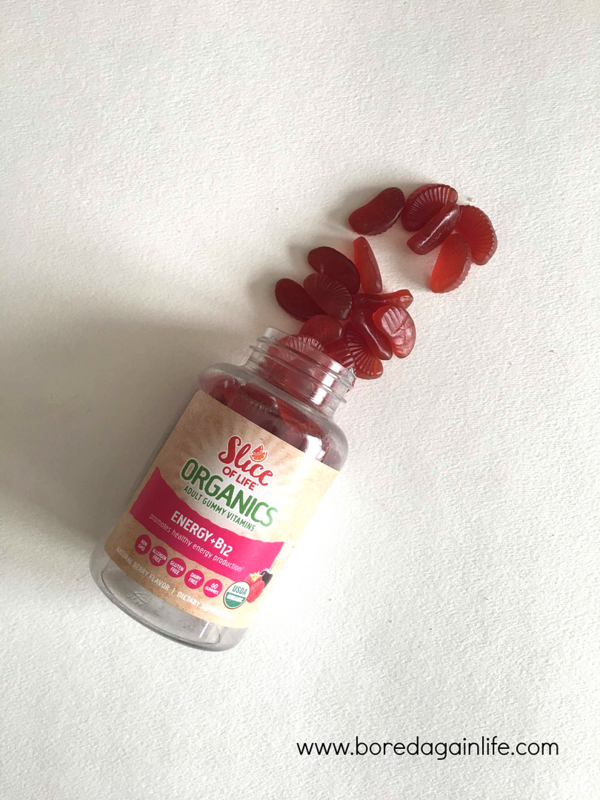 I had the Slice of Life vitamins and they were tasty. Like, I could sit there and snack on the whole bottle good. I did refrain myself. I have a little bit of self control. Vitamin B12 is what we need to convert carbs, proteins, and fats from food to energy. Yeah, give me all of that. This mama needs all the energy she can get. I believe strongly in eating the right foods to fuel our bodies. We can eat ourselves to good health, if we want. HA! I'm still learning how to do this efficiently. 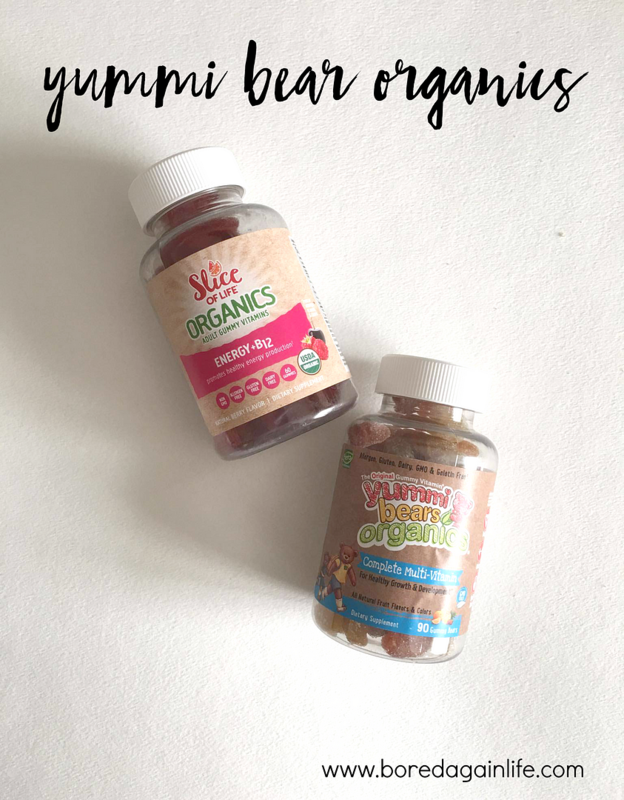 In the meantime, I will continue to supplement with supplements that have organic ingredients and are free of GMOs, artificial flavors, and dyes like Yummi Bear Organics. For more information visit the Hero Nutritionals website. This book was not what I expected. 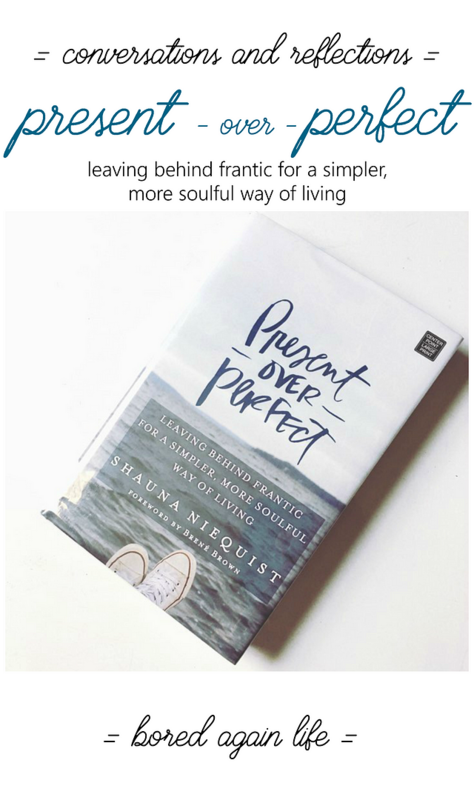 I've never read a book by Shauna Niequest before. I didn't know what to expect. I assumed I would receive a to do list and steps on how to fix my chaotic life. I thought she would give me details on how to be present and easy steps to giving up the idea of perfection. What I got were mini heartfelt stories. I related to so many of them. I laughed and cried reading them. There were a few that punched me in the gut it hit so close to home. We recently brought home baby number three. I'm realizing the importance of my role in their lives. Motherhood is the toughest hood you will ever walk through. I am responsible for so much. I'm not talking about cooking and cleaning. I'm talking about helping shape and define the character of these little people. I want you to read Present over Perfect. You need to experience her words first hand. They will change you. I made a few notes as I worked my way through the book and I'm going to share a few of them with you. Putting an emphasis on YOU completely changes the dynamic of the question. When your calendar is stacked and all you want is a moment to chat with a friend, what are YOU going to do? Usually the answer is TRY to meet up another time. TRYING is getting me nowhere. If I "try", I will never see my friends. I must DO. Put up some chairs. Take things off of your plate. The concept is simple. In order to do more of what we want to do, we have to do less of the things we don't. We must simplify. To add we must subtract. How many times do I say this out loud or in my head? Or discuss said friend with my husband. "She has it so easy. Must be nice." I read this chapter and thought "Oh crap, she nailed me." She has my number. I do this more than I care to admit. A friend tells me they are doing this or that and I immediately wonder "why not me?" The truth is we don't know what anyone is really dealing with. We can't assume or make judgments on the short stories they choose to share or snipits we read on Facebook. We also have the power to make changes in our lives if we want to live life a certain way. If you aren't living how you want to live, STOP. MAKE A CHANGE. I am making mental notes every time I think "must be nice" about someone else. It is likely I want this for myself. I need to figure out how to get it. THAT IS BRAVE. THAT IS HARD. I want to teach my kids this. Brave isn't always a BIG thing. Sometimes being brave is simply doing the RIGHT thing. I struggle with my identity. At 35 I don't have confidence in who I truly am. I think I've spent so many years trying to be someone that everyone likes I lost myself along the way. I'm giving myself permission to be who I am. To say what I want to say. Act how I want to act. Have an opinion about me? Keep it to yourself. When we stop worrying so much about other people's opinions WE BECOME FREE. Find yourself. Figure out who you are. This was my favorite "chapter". That is a major word. I really thought about what I want to leave for my children. How do I want them to remember me? What will they say about me when I leave this earth? What stories will they share with their children and grandchildren? Right now, today, this scares me. I don't think I would like the stories they have right now. I'm not a bad mom, but I can do better. "It's all right here" ties in to the LEGACY chapter. Giving your best self to everyone else and letting your family have the leftovers. They are dried up and over cooked. Feed your family first. Give them your best. This is hard to do. I struggle with this the most. Especially in this season of life with little ones. I know I want to be everything for everyone. I want to help all the people. I can't do that. My family needs the best that I have. It isn't fair they get me when I'm tired, worn out, and completely cooked. This book has me thinking about my greater purpose. It has made me realize the important task I have been given to raise my children. I am the only one who can do this. They have been given to me. These kids deserve a mom who is present. They deserve my best. What were your favorite takeaways? Join me in our discussion group to share your thoughts on leave a comment. This summer Landon and I are spending a lot of time together in the kitchen. We watch a lot of cooking shows together and I think they are rubbing off on him. One of our favorites is "Master Chef Juniors". Those kids are his age or younger, and very inspiring. If they can cook, why can't he? Sharp knives still make me nervous. He got this map of the world on the last day of school. I guess his teacher wanted everything GONE. In an attempt have some sort of continuing education this summer I suggested we learn about what people in different countries eat. We can mark them off one by one on the map. Cooking was already an interest and I am happy because we are learning about different cultures and countries too. I thought we would start off with something easy. I don't call myself an expert with European and Italian food, but I know how to whip up a good spaghetti! 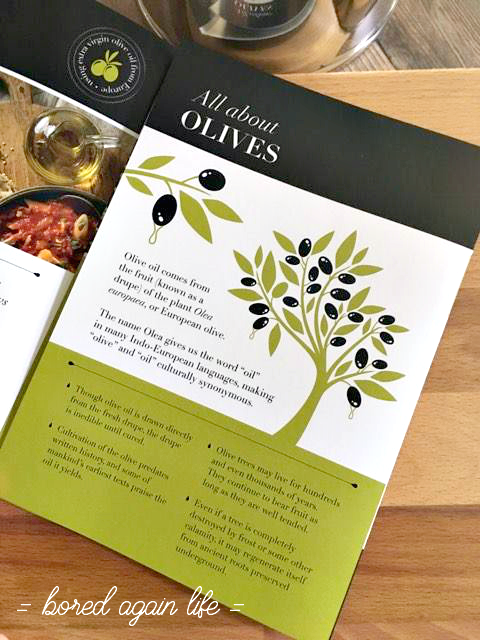 I've learned a few things about what to look for when I'm out shopping for my EVOO. 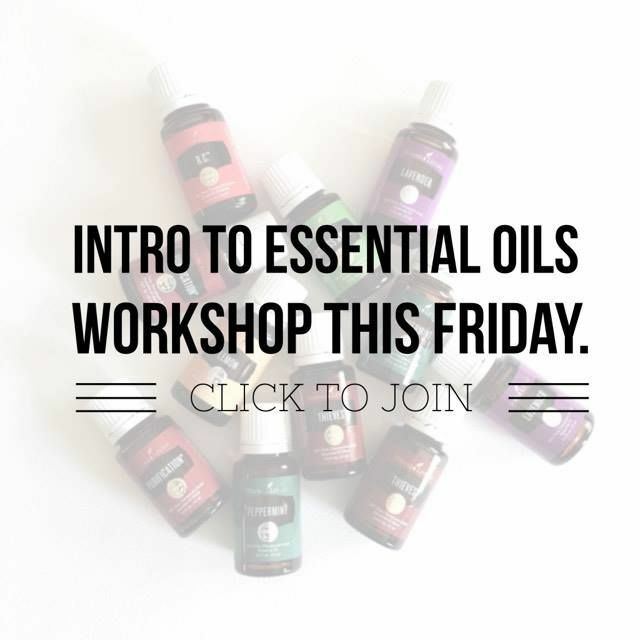 Did you know that different European countries produce different types of oils? Me either! If I want a fruity-nutty flavor look for a Spanish olive oil with a yellow color. 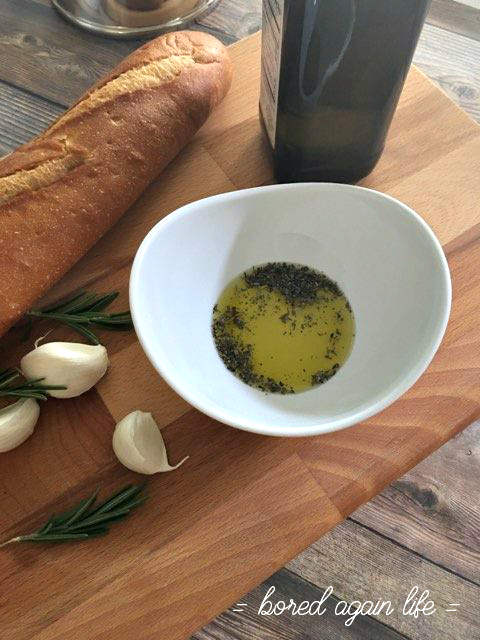 Italian olive oil is a darker green and has more of an herb flavor. I had no idea about any of this. I just assumed oil is oil. They are all the same. When you choose a European Olive Oil you are getting years and years of tradition and knowledge. They know the best time to plant and to harvest. For our first European cooking lesson we made a delicious herb bread dip to go with our stuffed shells and cheese. One of my favorite things at Italian restaurants are the dishes of olive oil accompanied by a basket of bread. Get in my belly! And yes, I realize by having Landon help make this I cheated him on the practicing his knife skills. We will get there eventually y'all. Combine all ingredients and serve with an artisan bread of choice. 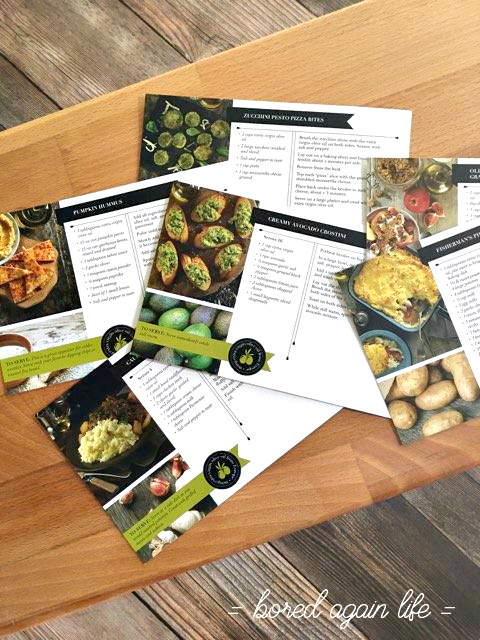 We used Zucchi brand as our EVOO of choice. They have been around for over 200 years and have been family owned for 7 generations. They are known for their high quality. I have to agree. It is delicious. You can learn more about their company and products at www.zucchi.com/US. 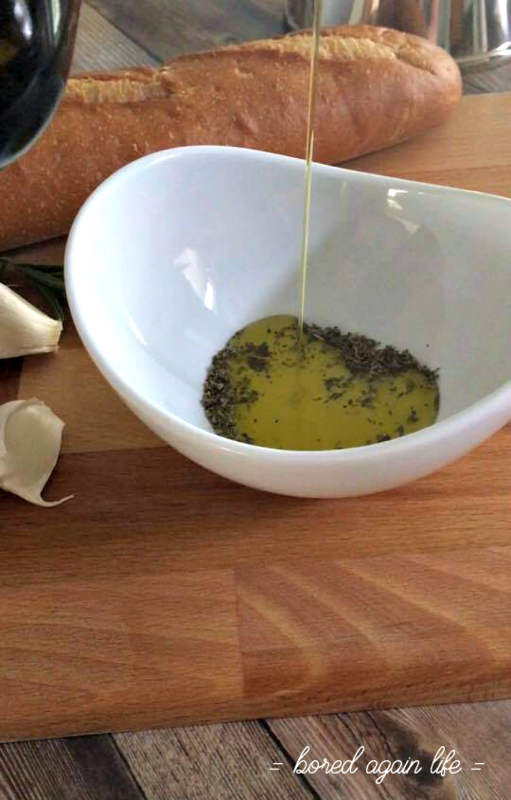 What is your favorite dish to make with Olive Oil? Are you a fan as much as I am? 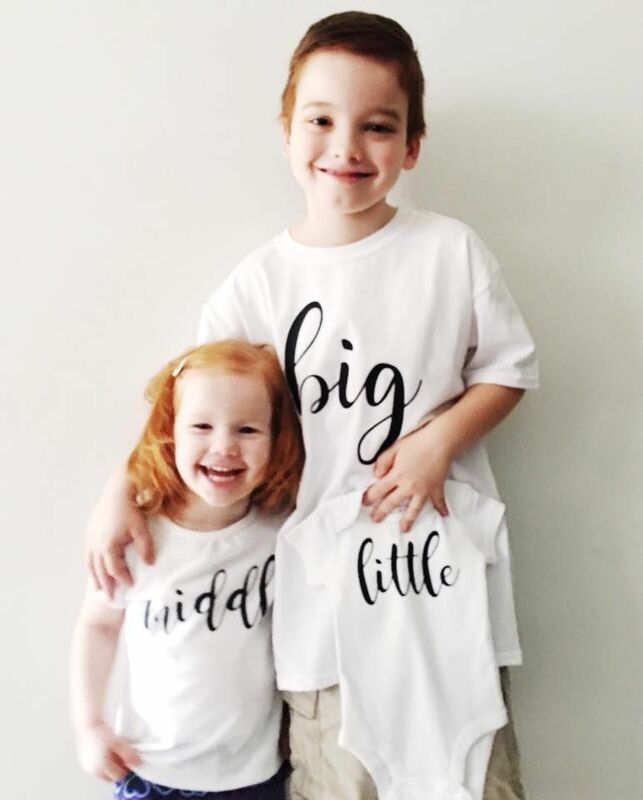 Two kids and one on the way this summer. I'm scared. I'm not afraid to admit that. I have two plans I'm working on. Plan 1. Don't plan anything. Have absolutely zero expectations. Go with the flow and do what fits our fancy each day. The problem with this plan - fail to plan, plan to fail. I'm afraid by not planning anything I will be completely stressed out with two bored children while I'm nursing another. Plan 2. Over plan. Have something planned for every day and keep everyone busy. The problem I see with this plan is over promising and under delivering. I need to create some kind of hybrid solution. A loose list of summer ideas with no particular completion date. I've asked Landon to help me put together a summer bucket list of places to go and things to do. It is very interesting to see what he thinks will be a good time. Ha! How much can we get done in 10 weeks? Summer is for fun, adventures, family, sunshine, and relaxation. 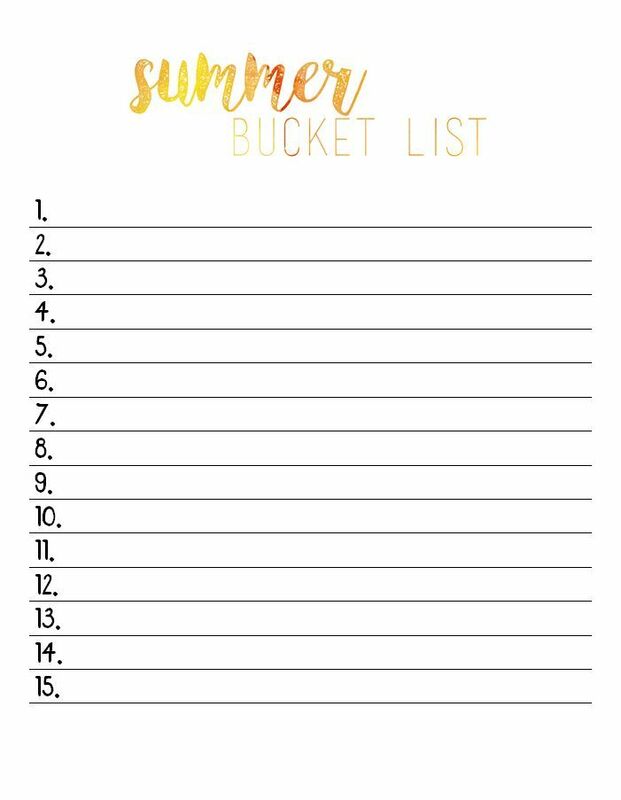 I am going to have each one of us create our ultimate summer bucket list. I am personally going to make two different lists. One for what I want to learn and another list of where I want to take the kids and all I want to do. I will probably ask Landon to make two lists as well. The learning list doesn't have to be boring or scholarly. I'm talking about learning how to swim the length of the pool, learning to dive, learn how to do origami, learn how to make slime, etc... Whatever you want to learn how to do big or small. The "learning" part will come in the research in finding out how to do it and creating the discipline to stick with it. I created a quick summer bucket list sheet to keep track of our ideas. You can download your own copy below or make your own. Here are a few things we came up with. Will we get to them all? Probably not. Remember, just a loose plan to keep summer entertaining. I just want to have ideas on those bored days when we are ready to lose our minds. What are your summer plans? Any big adventures or small getaways? What do you want to learn this summer? 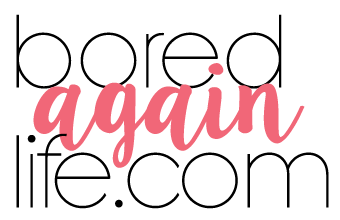 I will be posting our lists in the Facebook Group for inspiration. Make sure you are there! This is a sponsored post. 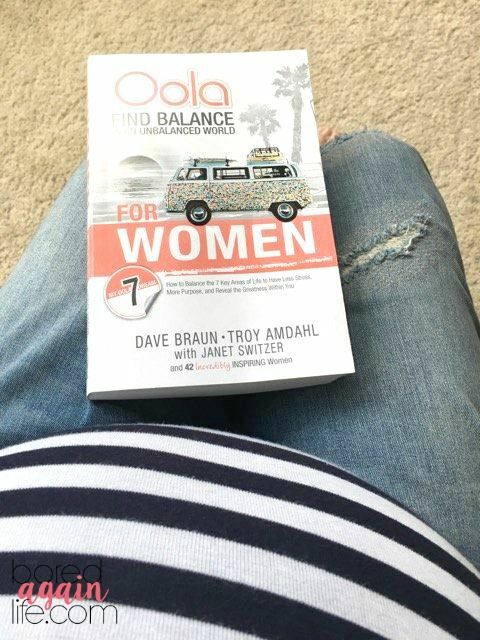 I received a free copy of the book Oola for Women in return for an honest review of the book. All opinions are mine. Please see my disclosure. There are also affiliate links in this post. The other day a friend posted a meme that I really resonated with. It was a photo of Cruella De Vil with her crazy eyes and hair, driving fiercely down the street. The caption read "Me trying to excel in my career, maintain a social life, drink enough water, exercise, text everyone back, stay sane, survive and be happy." Does this sound like you? It is most certainly me. Every day is the struggle to do all the things and be everything to all the people. It can be exhausting and overwhelming. I alternate laughing and crying my way through. What if I told you there was a way to work towards a more balanced life? That you can have less stress and more purpose? I have your attention now, don't I? A few years ago I discovered OOLA. I tapped into this system and I was finally able to get areas of my life moving in the right direction. 7 areas of your life. Family, Friends, Faith, Fitness, Finance, Fun, and Field. 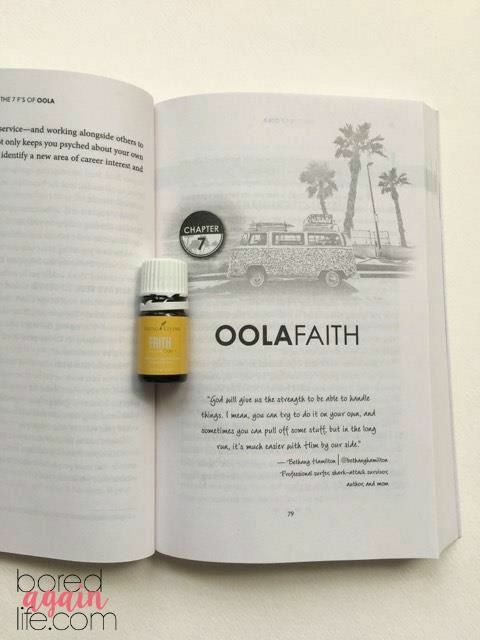 OOLA for Women was written with YOU in mind. This book is a compilation of stories from women sharing the same struggles we go through every day. Every story will give you courage, inspiration, motivation, and a feeling of solidarity. You are not alone. 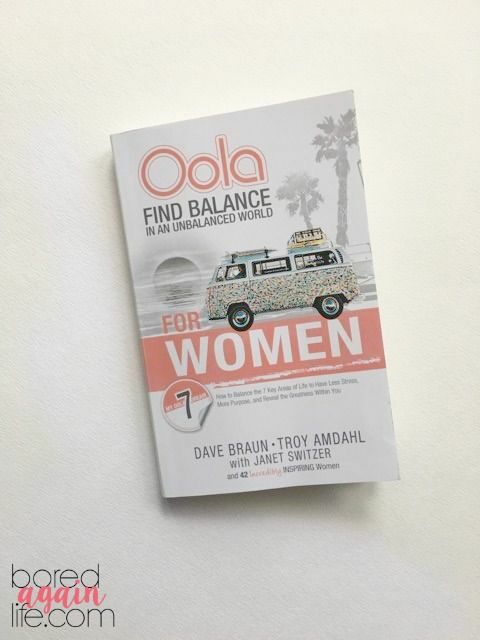 OOLA for Women breaks down each of the 7 areas and teaches you how to grow in each one. You will learn about the OOLA Blockers. These are the 7 things that will keep us from achieving our goals - fear, guilt, anger, self-sabotage, laziness, envy, and focus. You will also learn about OOLA Accelerators. The accelerators will push your dreams into overdrive - gratitude, love, discipline, integrity, passion, humility, and wisdom. A career, happy kids, good health, friends who feel valued, a partner who is cherished, and a growing faith that is bigger than everything? I am learning how to let go of guilt, to stop self-sabotaging myself and become more disciplined. I can't wait for all of you to dig into this book, start pushing through all the things that are holding you back, and living life with the greatness you deserve. I have been silent lately. I had really good intentions at the beginning of the year to write regularly. I had so many good intentions. Fortunately God had other plans. We have been blessed with one of the best surprises. I am so happy to announce we are expecting a beautiful baby girl this July. that he has my back when I can't do it on my own. This is going to be an adventure. We live in a two bedroom townhouse. I will do a full tour soon to show you how we make it work. It isn't easy. I know we will look back on these days and appreciate the closeness. Any advice for adding baby number three? How did you transition your family? How did you manage your time? Here is another craft from the past! I am still making notebooks and tear pads this way. It is so simple. Last Valentine's Day I whipped up 24 of these for Landon's class to make coupon books for their parents. It was so much fun! 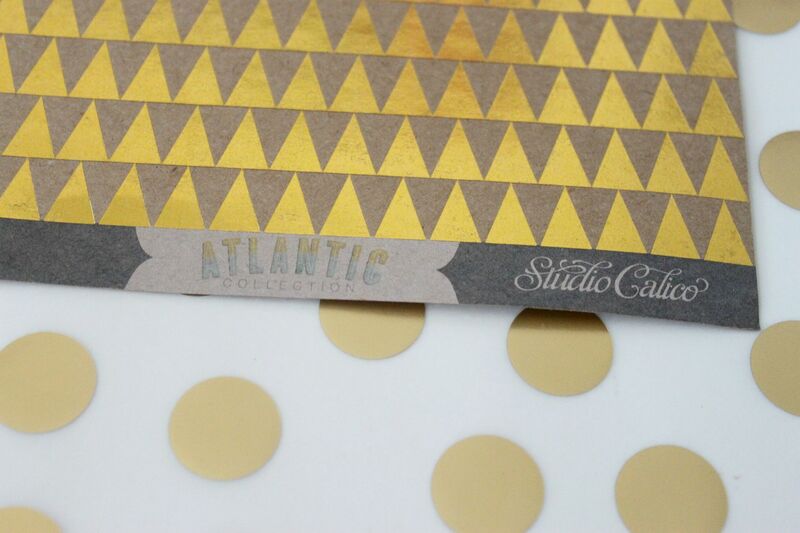 The creative company American Crafts sent me some golden goodies to help me create something to share with you. I am a little obsessed with note pads, spiral notebooks, journals, and anything else that you can makes notes in. I never leave a store without cruising through the office supply section. It is a guilty pleasure, but give me a notebook with a pretty cover and I am in love. I am forever jotting down ideas and making lists. I actually like to have one notebook per subject or interest. Weird? Maybe, but I do know it means a lot of notebooks. They aren't cheap y'all! At least not the ones with the pretty covers. If you are like me and spend WAY too much money on paper goodies then this is the craft project for you. 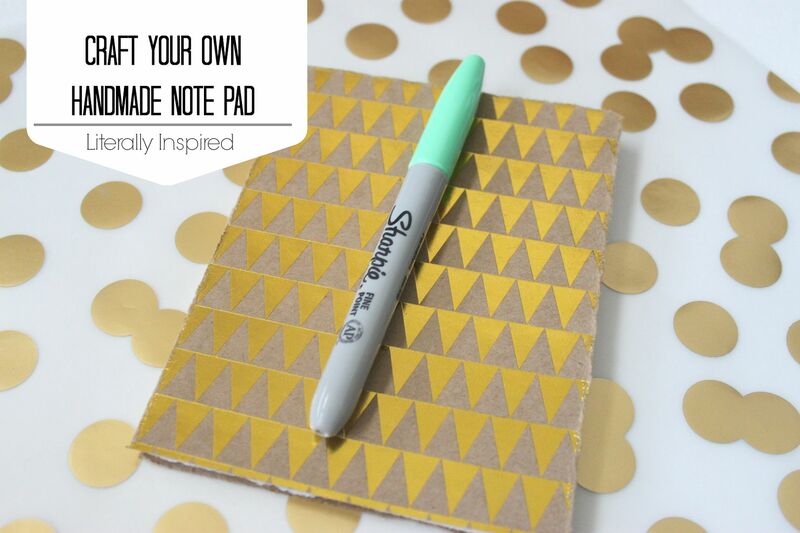 Save your pennies my friends and create your own note pads that will reflect your style. I received some of the prettiest, golden, paper I have ever seen from American Crafts. 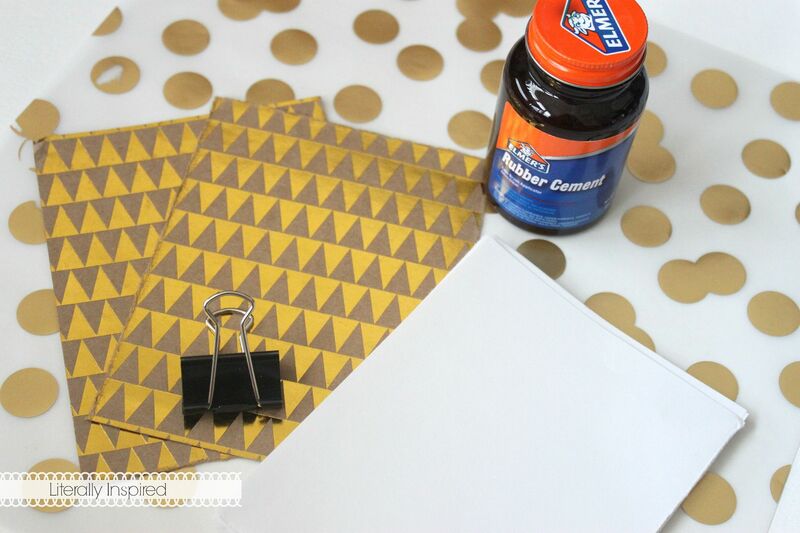 The gold triangle cardstock is really on trend and was the perfect thickness for my little note pad. First you need to cut your paper to size. I for the life of me could not find my paper trimmer so I tore mine by hand. I'm kind of glad I did. I think the torn look added some extra texture. Once all of your paper is cut use your binder clips to hold everything together. 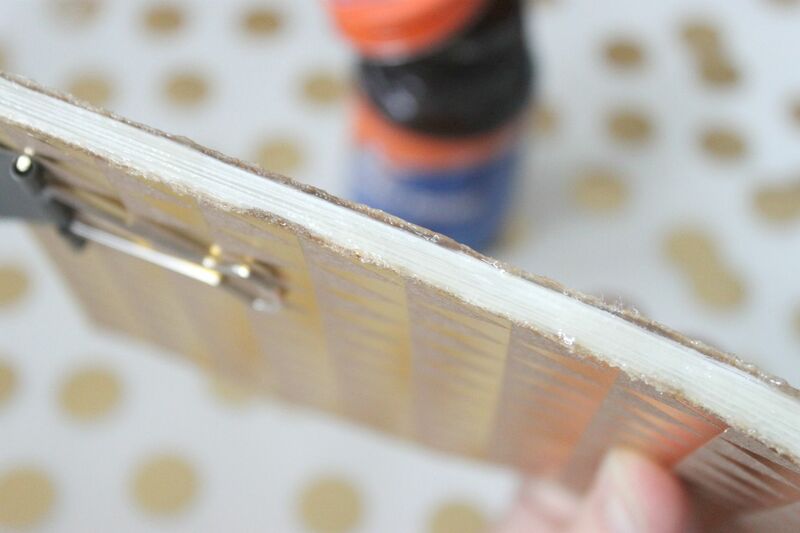 Next, take the rubber cement and apply an even layer on one side and let it dry. 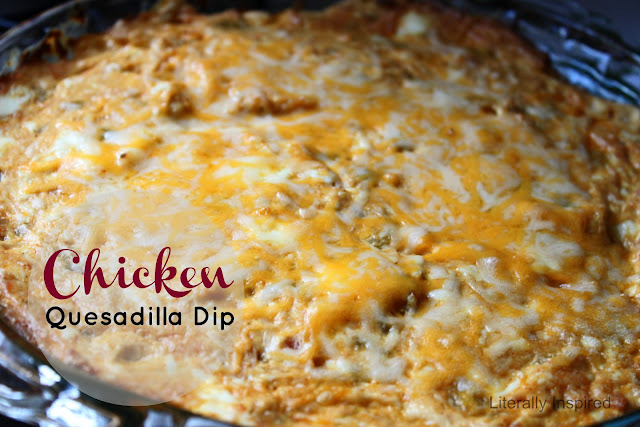 You may want to put something heavy to weigh it down while it dries. Repeat the last step and add an extra coat of rubber cement for good luck. Now you are all set to take as many notes as your heart desires. I am so in love with this little project, borderline obsessed. 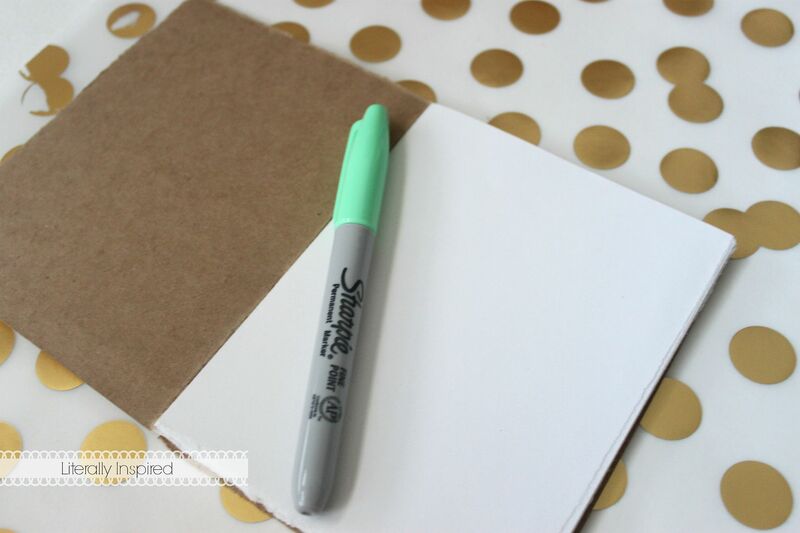 Next time, I am using the pretty gold polka dot paper (that is from American Crafts too). Disclaimer: This post is sponsored by American Crafts. They sent me some cool products to test run and create something to share with all of you. All opinions are my own. I have thought long and hard about my word of the year. This word will be my focus for the next 365 days. + A person's nature, character, etc. Do you ever feel you don't know who you are? Do you feel like you blend in to the background? At almost 35 I have yet to define my style. I don't know who I am. This makes me feel lost. I want to find myself this year. I want to spend time finding out who I am through God. He knows me better than I know myself. I want to know how he sees me and who he wants me to be. What is your personal nature? How do you react in certain situations? What characteristics are you proud of? What would you change? Fruits of the Spirit: Love, Joy, Peace, Patience, Kindness, Goodness, Faithfulness, Gentleness, and Self Control. These are the characteristics we are meant to have. Be kind. Be gentle. Be good. As I write this I am thinking about my behavior. I have a weakness of being easily agitated and frustrated. It doesn't take much for me to be annoyed and get set off. I am a red head with a short fuse. I don't like this part of me. It is not loving, patient, or gentle. This year I will bear the fruit of the spirit. I will harvest and multiply kindness, peace, love, and joy. I will put my SELF first by being SELFless to others. How do you spend your free time? Do you have free time? Do you have a list of desires to be healthier, stronger, or in better shape? Do you have hobbies and projects collecting dust because they aren't "important"? Do you find yourself slowly slipping away? I think part of the reason I don't know who I am (or at least feel this way) is because I don't do things for myself. Do I like to exercise? I don't know. I never give myself time to find out. Do I like to cook? Maybe. What do I want to do with my time this year? I deserve to put my personal interest first. It is better for everyone because they get a more spiritually, physically, and mentally sound mother and wife. No one is going to tell me to go to the gym. They wouldn't dare, even if they mean well. I have to put mySELF first. It will take me being intentional with my time. It will take me making the harder choice. It will mean some things will not get done, but that's ok. I will feel good. I will be better. I am taking 2017 very personal. It will be a year of change and growth for me. It is very difficult to put yourself under the microscope and make necessary changes. I've tried before and gave up. I am making a promise to myself now that I will not give up on me again. 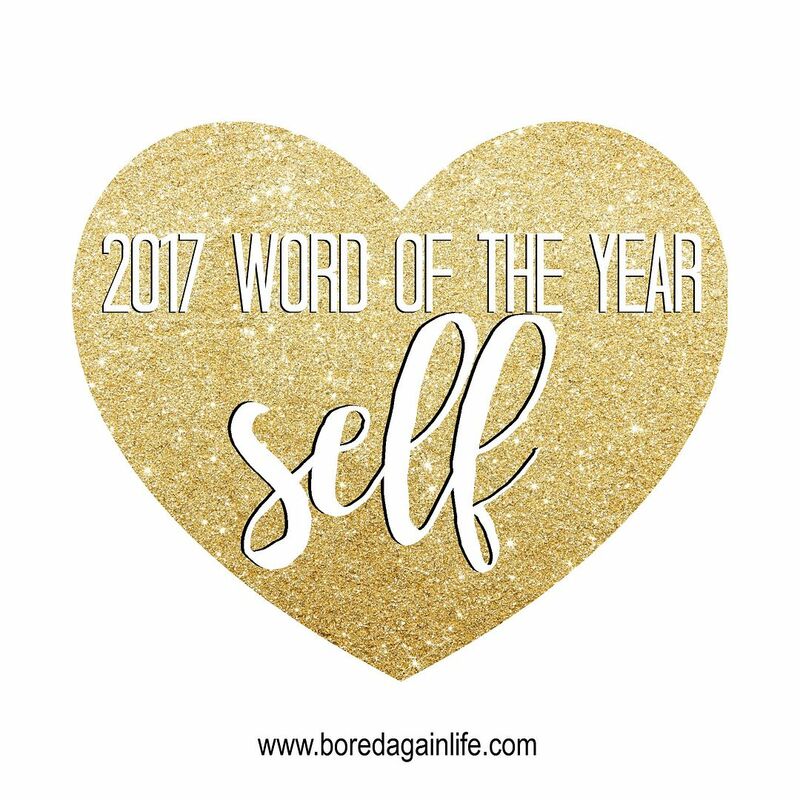 Do you have a word of the year? Please share. I would love to hear about your plans for 2017.